More than 100,000 people have shared a doctor’s letter online criticising David Cameron’s 7-day NHS plan after Downing Street police refused to pass it on to the Prime Minister. 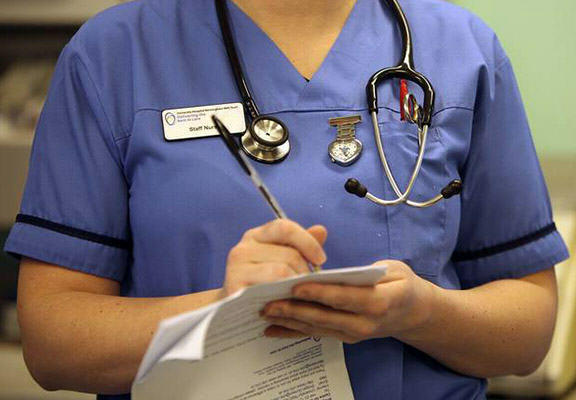 Doctor Janis Burns wrote the furious letter slamming the government’s latest plans for the NHS, referencing the frequent weekend shifts she and many others work, and how little pay many staff earn for their efforts. In the witty and thought-provoking letter, 34-year-old Janis throws in a dig at Cameron for his “inflation busting pay rise”, before mocking the government’s apparent opinion that the NHS is not already a 24-hour service. From low pay to anti-social and gruelling working hours, Burns doesn’t let up in her impressive 1,500 word rant. Let’s hope Cameron and his Health Secretary Jeremy Hunt see this, because it should give them plenty to think about! The letter comes as NHS staff have been flooding social media with posts and images under the hashtag #ImInWorkJeremy, pointing out to the Health Secretary how hard they are working. The barrage of selfies came in response to Hunt’s comments that he was prepared to impose seven-day working on hospital consultants in England, saying there was a “Monday to Friday culture” in parts of the NHS. After the hashtag trended on Twitter on Saturday morning, Hunt responded on his own Twitter account thanking the doctors and nurses for all their hard work.